Rejuvenated, refreshed & packed full of features. Living doesn't get much easier than this generously proportioned home. Wide open spaces in and out, 3 good sized bedrooms & there's even an extra room off the master that's perfect if you have (or expecting) a baby, perfect if you need a home office or additional bedroom for visiting relatives. Solid and secure construction, cool tiles throughout, country style kitchen leading to a fantastic outdoor area. There's even 3 Phase power in the garage. Fully fenced and secure the whole family will love living here. Whether, you have children and need extra elbow room, simply looking to start a family or like to entertain, this modern suburban home offers the astute investor or conscientious home seeker the (almost) perfect option. Beautifully presented 70 Tasman Circuit is a credit to the owners and now could be that "special" property you have been patiently waiting for. * Elegant in design there is an almost country vibe to the kitchen with loads of storage flowing through to the laundry and out to the entertaining areas. * Don't worry - there's plenty of room for the extra fridge or freezer in the laundry. * An impressive entertaining area comes complete with ceiling fans and adjoins a very inviting pool. A must for all relaxation zones. * The garage will securely house 2 vehicles - a boat or the toys perhaps and comes complete with 3-phase power!! Yes - that's correct - 3 phase power - perfect for hobbies or over-zealous husbands who like to tinker in the shed. An additional carport provides parking for 2 maybe 3 more. 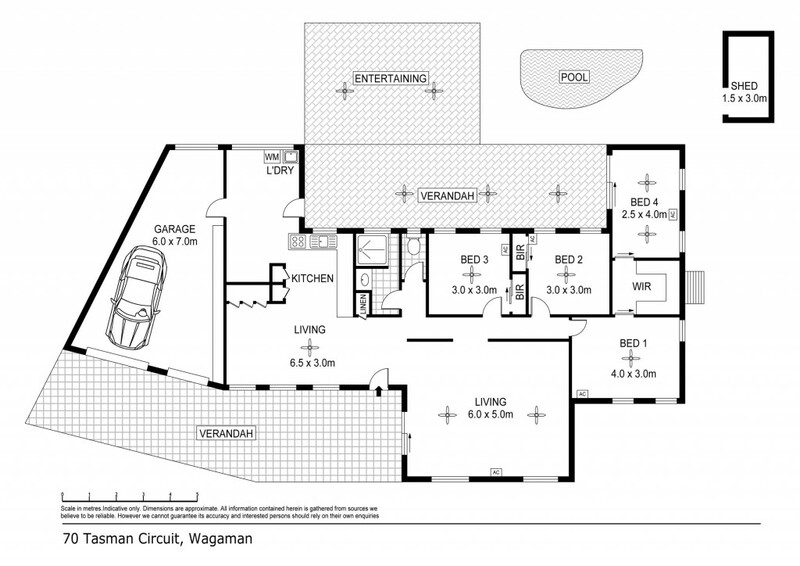 * Centrally located within walking distance to Wagaman school and the local shops the property is also within a short drive to Casuarina CBD, the University, Darwin Airport and the hospitals - you'll definitely love the location. Well positioned, solidly built with lots of extras that you probably were'nt even looking, this property could easily become your home. Call George today to arrange a private inspection.